Easy steps you can take to avoid - or come back from - these all too common runjuries and make it to the starting line in tip top form. This sticky summer’s finally wrapping up! And that means fall racing season is rapidly approaching. I know many of you are gearing up for your big races. Races you spent weeks and even months sweating it out on the pavement preparing for. But whether you’re gearing up for a half marathon, a full marathon, or even your first 5k, as race day approaches, so does an abundance of injuries. Injuries that sideline and devastate runners across America by the thousands - every single year. Injuries that could easily be prevented, following just a few, simple steps. Injuries I don’t want to see you struggling with. Not on my watch! Now, while there are dozens of issues that pop up with runners as they pile on mileage, for the sake of carpel tunnel syndrome, let’s focus on a few of the most common ones and the simple things you can do to keep them at bay. The Most Powerful Injury Prevention Tip! The blanket (at least temporary) fix-all, from foot to back pain: New shoes. I’m saying this after feedback from loads of customers admitting that they usually don’t start looking for new shoes until things start ‘acting up’. For some, it’s a year. For others, it’s a year and a half. By then, it could be too late. And the damage may already be beyond simply getting a new pair before race day. Still, if you notice things start acting up as you rack up the mileage, replacing old shoes, throwing another pair into the mix, or just getting what you’re wearing right now looked at is a fantastic place to start. Myself, being a believer that prevention is the best cure, I wouldn’t risk waiting around for aches and pains to start showing up before updating my tool box. For more benefits of getting yourself outfitted with another set of shoes, check out this post right here. They’re real. They’re painful. And there IS something you can do about them! For many who suffer from this ailment, it’s often a matter of too much mileage, too soon. Going from mainly soft surfaces to hard ones. Abruptly changing your workout routine. Running more on banked roads. Or even adding hills into your schedule. While some of these changes are unavoidable - especially if you’re piling on mileage to prepare for a longer race - there are a few things you can do to alleviate or even prevent the dreaded shin splints. The first thing is to check your shoes to make sure that the cushioning isn’t ‘dead’. 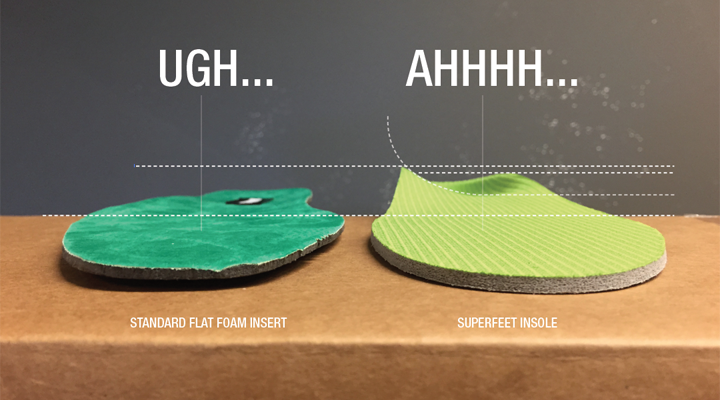 Even if the outsole is still there to some degree, over time, the foam used to make midsoles can oxidize and deteriorate if you’ve had your shoes for an extended period of time, or bought really really old models because they were on a discount. When that’s the case, you’re not only going to miss out on the rebound that a good midsole will give you from the road, but you could also be sending a jarring shockwave up your body, potentially setting you up for some stress fractures or worse. If your shoes are still good, however, the next thing you can do - and it really is quite simple - is to stretch your calves and achilles really well before and after you run. For this, you can use a wall, doorway, or - my favorite - Addaday’s Calf Stretcher! This one’s a doozy. And perhaps the most common ailment outside of “knee pain” that runners experience. In short, it’s heel pain or pain on the bottom of the foot, caused by your plantar fascia (think of that soft skin under your foot where your arch is located) getting overworked and tugging at its connective points - commonly your heel bone. Most of the time, pain is at it’s worst first thing in the morning or after standing up, after sitting for an extended period of time. Whether it’s aggravated from increasing your mileage too quickly, starting an exercise program, everyday life, or mysteriously popping up out of the blue, there are a few, quite successful methods to alleviating it. First would be to slip a different insole into your shoes. 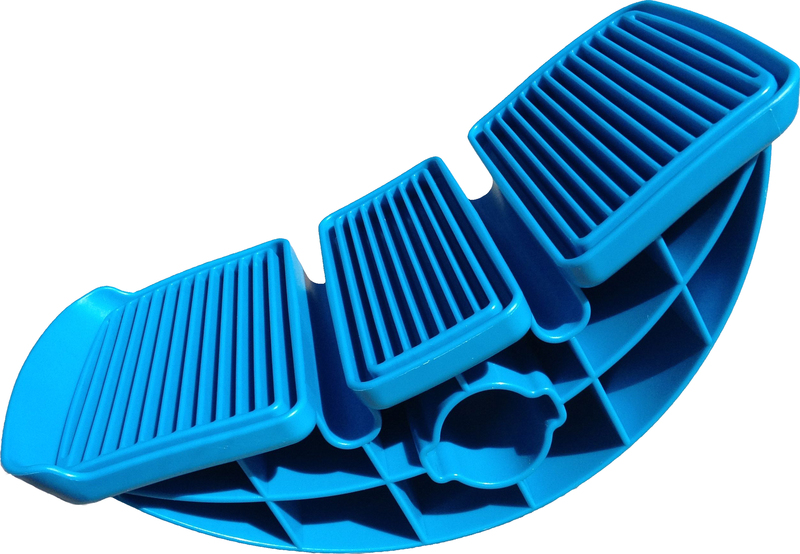 One that is designed to prevent your arches from over-stretching, every time your foot hits the ground. That, right there, will go a long way in preventing plantar fasciitis from ever occurring in the first place. But if insoles aren’t enough and the damage has already been done, the Strassburg Sock - while looking like it came from Ebenezer Scrooge’s closet, might just be the piece of gear you need to finally put your sore heel to rest. If new, properly fitted shoes and matching insoles aren’t enough to help ward off knee injuries, there could be problems further up the chain. Primarily in your hips. In fact, more often than not, knee ailments are often a symptom of either weak or misfiring glutes that cause your hips to either excessively drop or to shift your weight forward, placing the brunt of the work in your stride onto your quads. Quick fixes: Rocktape, foam rolling, and supportive knee braces. Once you have your pain under control though, you’re going to want to incorporate some sort of hip strengthening into your routine to keep those problems from ever haunting you again. I know. This one’s not exactly an “injury”. But considering the sweat-fests we put ourselves through, in order to improve, rubbing your skin to the point of going raw can be quite painful and even crippling. I’ll admit I’ve had to cut more than a few long runs short in the past simply because I couldn’t take it any further, so I figured it was definitely worth mentioning. … along with the awesome, lasting powers of Body Glide. So if you’re worried about ANYTHING getting … eh hem… rubbed the wrong way as you up your mileage or prep for that race on your calendar, a few swipes of Body Glide will keep your skin free of irritation! … but that will have to wait for another time.